Ten miniature dioramas by the award-willing illustrator Joan Steiner are on exhibit in different locations throughout the museum. These meticulously crafted scenes were created from everyday objects and edible treats, and photographed for Steiner’s Look-Alikes ® books. The more you look, the more you see! Like the children’s games, “I Spy with My Little Eye” or “Where’s Waldo,” these miniature scenes offer fun for all ages. 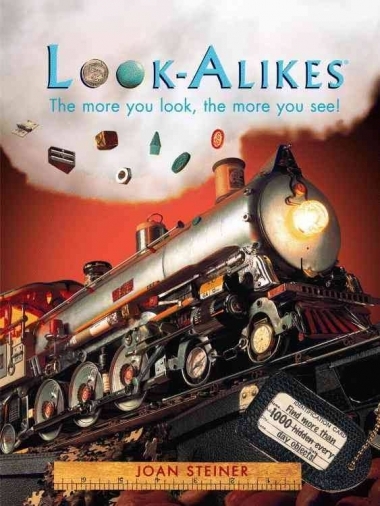 Joan Steiner’s first book, Look-Alikes ®, was published in 1998, and was named one of Time Magazine’s best children’s books and one of The New York Times Book Review’s Notable Children’s Books of 1998. The series continued with three other books: Look-Alikes ® Jr., Look-Alikes ® Christmas, and Look-Alikes® Around the World. These four books have been translated into sixteen languages and have sold over a million copies worldwide.